A celebrated figure in his areas of expertise, Dr. Soper has accrued more than 40 years of professional excellence, inspiring the lives of both students and colleagues alike. 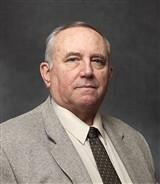 Serving as a research scientist at the Neuropsychiatry Institute Program at Camarillo State Hospital of the University of California at Los Angeles and full professor at Fielding Graduate University, Dr. Soper previously held various roles at such institutions as the National Institutes of Health as a fellow in the department of psychology, clinical psychologist, and neuroanatomist at the University of Illinois at Chicago, as a neuropsychologist at Camarillo State Hospital, and as a neurophysiologist at the Brain Research Institute in 1974. In preparation for his lauded career, Dr. Soper first sought formal education, earning a Bachelor of Arts at Yale University in 1966. He followed this accomplishment with a Master of Arts in experimental psychology from the University of Connecticut in 1972, subsequently earning his Doctor of Philosophy in physiological and comparative psychology from the same university in 1974. While working toward his doctorate degree, he served as a predoctoral fellow at the University of Connecticut from 1972 to 1974. He is a licensed psychotherapist. A leading expert in the fields of neuropsychiatry and psychology, Dr. Soper maintains affiliation with several industry-related organizations, including the American Association for the Advancement of Science, the International Primatological Society, the American Society of Primatologists, and Psychonomic Science. He is also a member of the New York Academy of Sciences, the Society for Neuroscience, and the American Psychological Association. As a leading voice in the industry, Dr. Soper has accrued numerous achievements throughout his career. In 1965, he was presented with the Robert R. Chamberlain Award, as well as the Normal Hall Award by Yale University. In addition, he served a predoctoral fellowship from the Alcohol, Drug Abuse, and Mental Health Administration and was a chief fellow of the Departmental Neuropsychology Lab. Having an insatiable appetite for research, Dr. Soper delved into the field of psychology after studying brain-behavior interaction and speech pathways in monkeys. Discovering he was more interested in human subjects, he went back to school to complete further clinical training. Recently, he began work on how individuals think while sustaining brain damage. Looking toward the future, Dr. Soper is excited to publish a book of research that he began in 1974 while he was writing his dissertation.